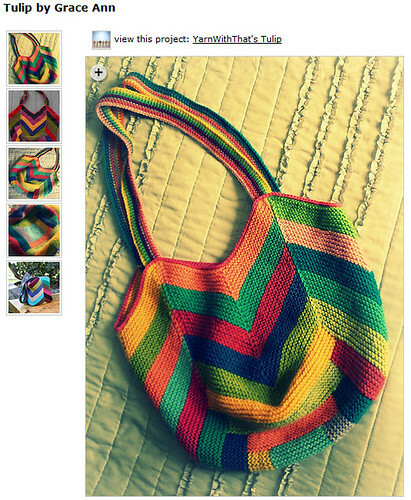 I’ve been obsessed with multi-color projects lately. If it has more than one color then it’s for me. The similarity of the colors is a risk but I want to give it a go. I’m imaging it gently changing colors from the vibrance of the top shade to the depth of the black. If it works out it will be awesome. 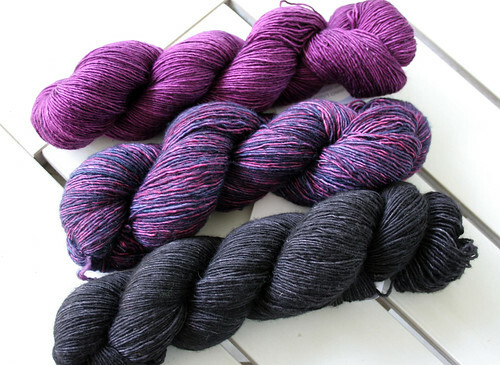 And if not, at least 2 of the 3 skeins came from my stash. 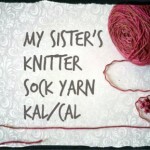 This is an unusual project for me but I can’t stop thinking about it. All those colors! 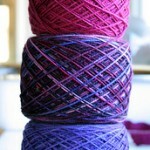 I’m currently considering these colors. 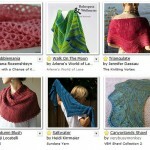 5 of them are Tahki Cotton Classic from my stash; the rest are Knit Picks Shine Worsted. 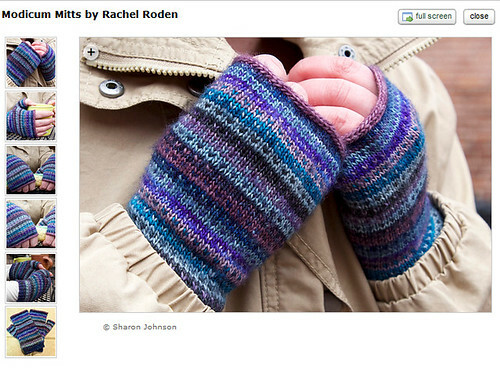 I’m not sure what I love more – the finished mitts or the fact that they use a set of Tosh Merino Light Tea Cakes. I can never have too many excuses for TML and the Tea Cakes will let me try out a few new-to-me shades. 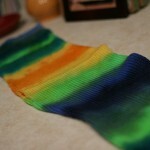 All three projects use the colors in different ways – alternating, striping and stranded. They’d be a lot of fun to knit and wear. 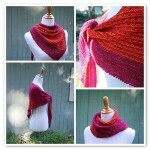 My favorite kind of knitting project. What about you? What have you been looking at lately? OMG, those mitts! I bought a Lemon Ginger kit so fast! Can’t wait to try it. 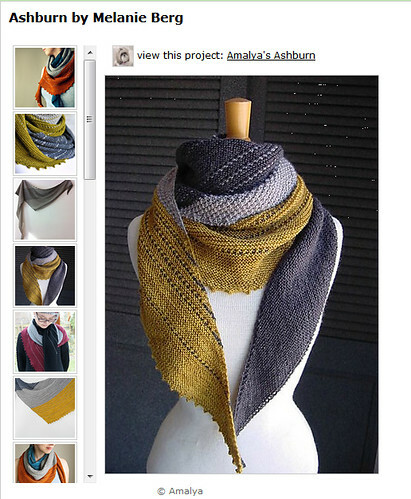 All of these projects look great, I think the top shawl will look nice with the colors you chose. haha no surprise you went for the Lemon Ginger! i’m trying to hold out because i want to order it when i’m ready to CO so it doesn’t become “old” in my stash. you have to let me know what you think when you get the kit. There is just something about the summer that invites us to gravitate towards bright colours!